Here are some photos of the latest Vera Bradley online survey. I wasn't able to take the survey but a friend shared some photos...so enjoy! I would just consider these potential colors since there are others out there too for this season. Update: These are the SPRING 2013 colors! oh i love the first one and the last one, especially the last one! do you know the names of them?! This doesn't happen very often for me, but I love them all!! Hopefully you'll be able to learn the names of them and get pictures of the other colors! I love the one with the leopard spots!! (yellow/black/gray) unusual for me...but yeah! Very excited about fall and winter now! Love them! Thanks for sharing. My daughter did one of those surveys last year and most of them got into the line, either in the Fall or Winter... most, but not all. 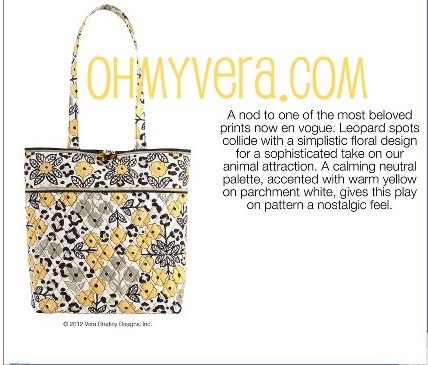 I'm really loving that yellow and gray one with the leopard spots! I hope that really does become a pattern! I like them all! The top one reminds of a blue version of Poppy Fields/Make Me Blush, two of my favorites. Thanks for sharing! Definitely getting the Gray Floral and a small piece in the Leopard Flowers. The others are really great, especially the Scandinavian-inspired one. My mom will LOVE the first one! Thanks for sharing them. Anticipation is half the fun. Some of those look really cute! Love it. It would be great for my Hawaii trip! I think Midnight Blues is fantastic. The colors go well together and the different flowers are very pretty. Absolutely adore the bottom right corner of the pattern that we see on that bag. The only problem is, i have so many bags i am not sure how to rationalize buying another one if this pattern comes out! I really like the first one. It is the only one I think I would buy if these all were to come out. The neutral one is nice for a change but not my cup of tea. Was this survey on their website? I never saw it. I am very excited, especially since I have not loved the spring and summer colors. I love Plum Crazy! I am relatively new to the 'OhMyVera' website. Are these patterns a definite 'yes' for the Winter 2012 release or are they 'maybe's' ? 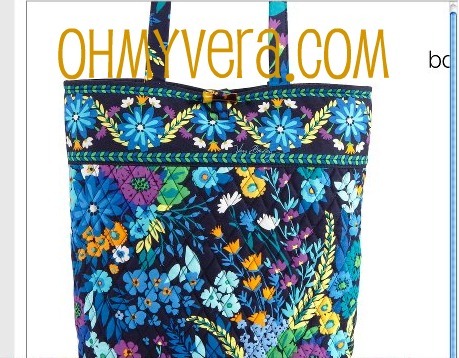 Also, who sponsored the online survey......was it 'OhMyVera' or Vera Bradley or some other online site? I love the Go Wild print. I hope it's definite yes for this one. I was browsing this sight a couple months back and saw that there were 8 photo for the winter patterns. I saved them all to my computer. Then a month or so later there was a post with names to 4 of the pattern's( see above photos). I want to know if there is any news about the 8 patterns? I like Jazzy Blooms and Midnight Blues and on the other I like 1 and 2 only. As they are doing with Fall 2012 they should make 2 releases for Winter of all 8 patterns. Anyone else agree? I love all of the patterns! 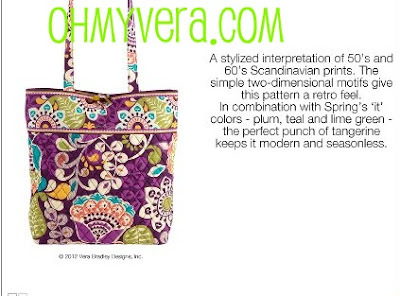 What I love about Vera is that it doesn't matter what season the pattern came out, you can use it all year round & it is still fabulous. I cannot wait! Plum Crazy is beautiful.. Its purple background is great for a change. I majorly hope its selected. Do we have a release date for these colors yet? =) LOVE Plum Crazy! I have Midnight Blues and love it! 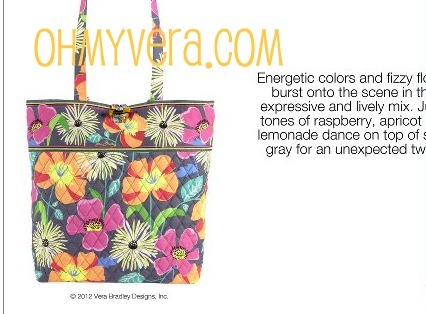 Got it in the Charlotte Vera Bradley Store. They had all 4 of these patterns on display!